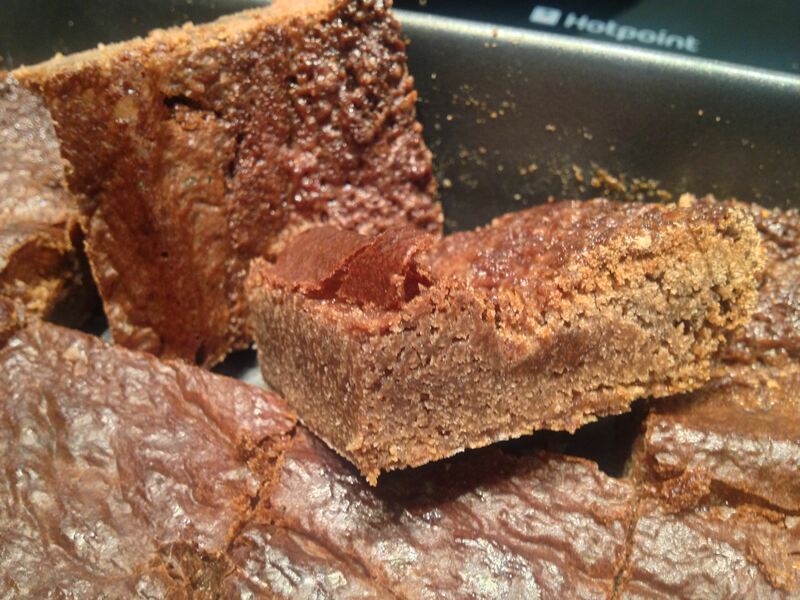 I hope you enjoy these delicious brownies (#SharePointBrownies). I just used this recipe to make these tasty muffins for everyone in the office – I do like to treat them all every once in a while. These muffins should be eaten as soon as they have had a moment to cool in order to experience the delicious molten chocolate inside. They are great on their own but worth trying with a scoop or two of vanilla ice cream or served with alcoholic Chantilly cream. Preheat oven to 190°C / 375°F and prepare 8 muffin cases by placing them in a muffin tray or even on a baking tray. Whisk the margarine, sugar, egg, flour and cocoa together in a large bowl until just smooth. Spoon half of the batter mix into the muffin cases. Break the chocolate evenly into 8 squares and place a piece in each of the half filled cases, then spoon the remaining batter mix on top. Bake the cupcakes for 20 minutes until well risen and springy to the touch. Let them stand for two or three minutes and dust with icing sugar before serving warm to experience the deliciously yummy molten chocolate.